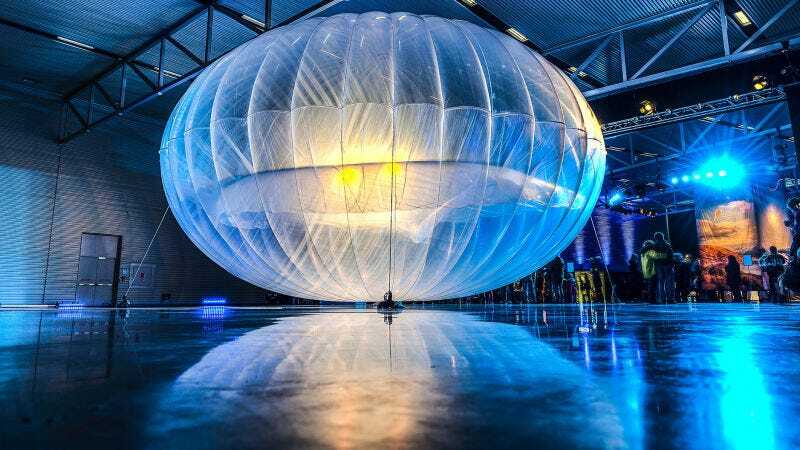 Project Loon has provided mobile data to more than 100,000 people in Puerto Rico, according to Google parent company Alphabet, which operates the enterprise. The project, which began as a Google X Lab offshoot, provides basic internet to crisis zones and out-of-network areas using weather balloons. In the wake of Hurricane Maria devastation, Project Loon procured an emergency license from the FCC to send its balloons to Puerto Rica on the US Virgin Islands. “In times of crisis, being able to communicate with loved ones, emergency services and critical information is key,” Project Loon project lead Alastair Westgarth, said in a statement shared with Gizmodo, thanking AT&T and T-Mobile, which the project collaborated with. Project Loon also released a video of Pedro Emmanuelli, a “launch specialist” from Puerto Rico, explaining how the operation releases balloons from a launch site in Winnemucca, Nevada, that end up hovering above Puerto Rico.